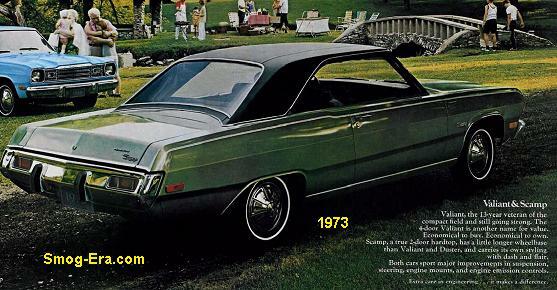 This was Plymouth’s equivalent of the Dodge Dart Sport. It was a fastback coupe variant of the A-body Valiant. Duster sat on a 108 inch wheelbase. Two basic models were sold at first which were the Duster and Duster 340. Powering the 1973 models were a choice of three engines on the standard Duster. 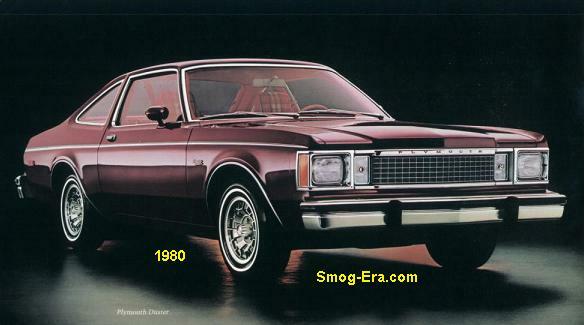 Standard was a 198 CID 1bbl S6, a 225 CID 1bbl S6, and a 318 CID 2bbl V8. 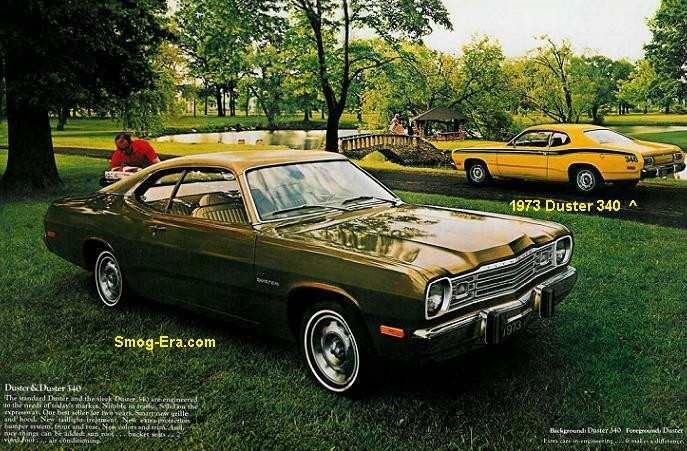 The Duster 340 automatically got a 340 CID 4bbl V8, which was not offered in the base car. 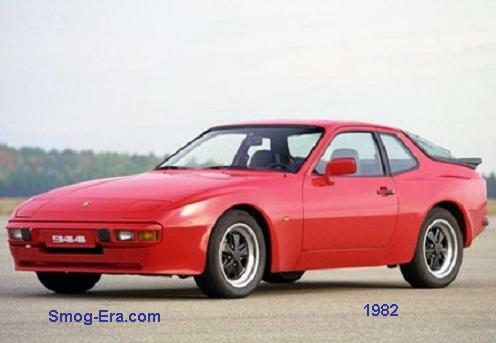 The 340 version also could be had with a coveted 4-speed manual trans, but this was not possible with the base car. Standard on the 340 car was a 3-speed floor-shifted manual, which was optional on the base car. Standard on the base car was a 3-speed column shifted manual. 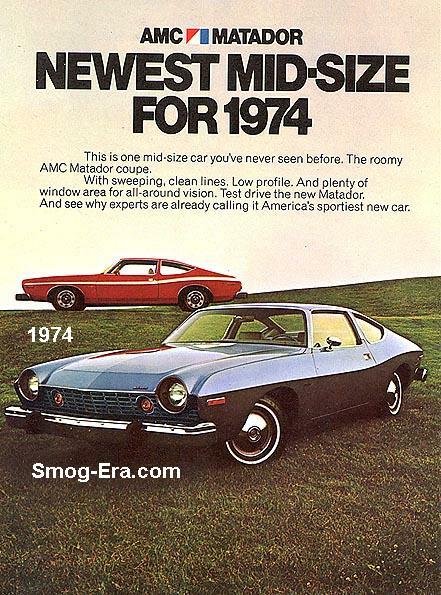 The 3-speed 727 automatic was available on any Duster. A Space Duster option was new this year. It was offered in combination with other packages that converted the back seat to a fold down unit with privacy screen. 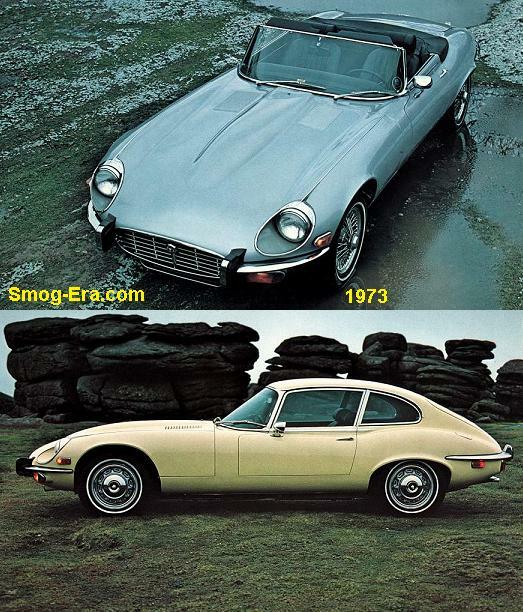 Most of these were also sold with sunroofs. The base car returned for 1974, plus a few new additions. The 340 engine was gone this year; So the Duster 340 was replaced by the Duster 360, which added the new 360 CID 4bbl V8 under the hood, exterior striping, plus other cherished equipment such as power disc front brakes, performance suspension, and E70x14 tires. 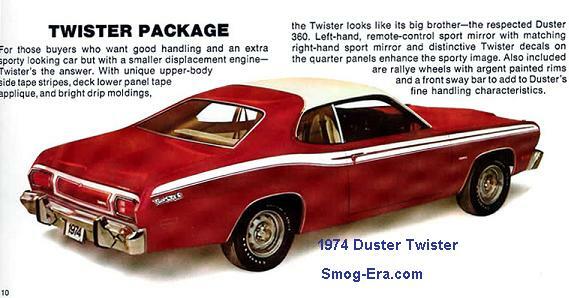 The Duster Twister was new for ’74, which gave you the appearance of a Duster 360, without the 360 engine by adding stripes, mag wheels, etc. The 4-speed manual was now available on any Duster. The other three previously mentioned transmissions were still in the lineup. A trim called Gold Duster was added, which included extra sound insulation, deluxe seating, special trim, and deep pile carpeting. The same 196, 225 and 318 engine were offered on the ‘lesser’ Dusters. By 1975, the 198 S6 engine was dropped. Still around were the 225 S6, 318 V8 and 360 V8. However, the 360 engine and Duster 360 were both dropped after this year. 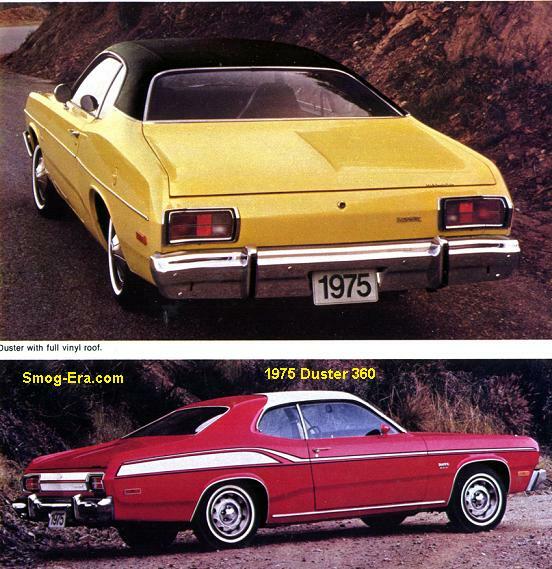 In 1976, the Feather Duster was added, which was equivalent to the Dodge Dart Sport Lite. The idea here was to produce a lightweight lower power car to stretch every penny out of fuel consumption. To achieve this, the car had the 225 CID S6 with an aluminum intake manifold, a specially tuned carburetor and calibrated ignition distributor. Mush aluminum was used throughout such as the bumper brackets, body bracing and the transmission case. It was offered with either a 4-speed manual or a 3-speed automatic, both specially geared for economy. The Feather Duster was finished off with a highway friendly rear axle ratio. 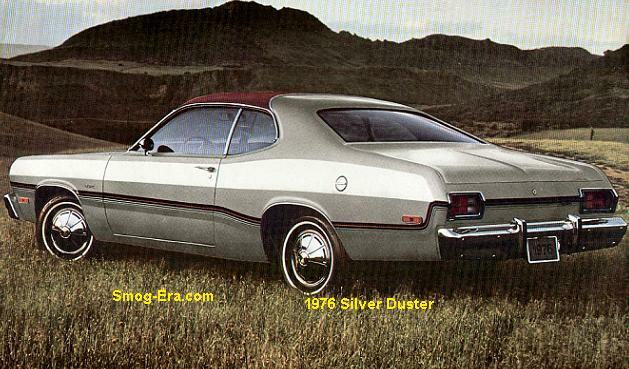 Also new in 1976 was the Silver Duster. 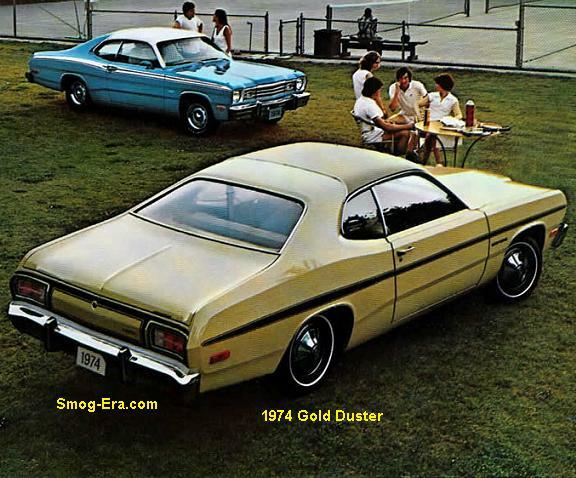 This version replaced the Gold Duster. Included were deluxe interior and exterior striping, not to mention the silver paint color. This was also the last of the Duster era for a couple of years. Even with the Volare already knocking at the sales door this year, the Dusters still proved immensely popular. 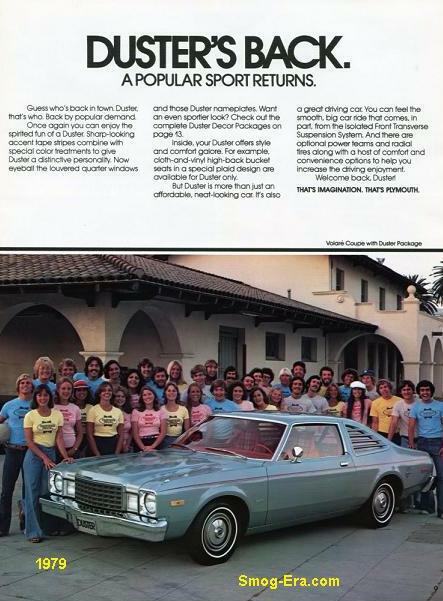 The Duster nameplate returned as a package of the Volare in 1979. It was a budget model with some flair. 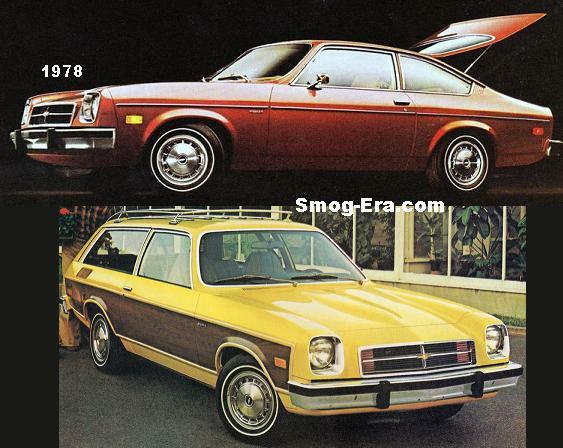 Basically, the Duster replaced the Volare Fun Runner and had similar niceties such as accent stripes and quarter window louvers. Engines were the 225 CID 1bbl S6, the 318 CID 2bbl V8 and, once again a 360 CID 4bbl V8. Now also available was a 225 CID 2bbl S6. 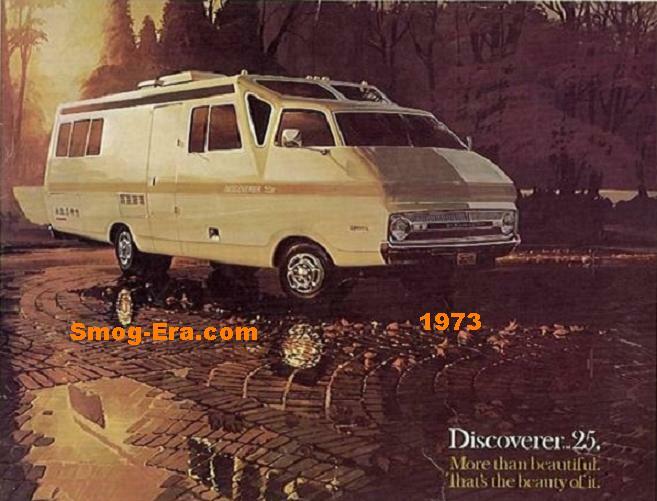 Duster was still around for 1980, when the Volare received a refreshing. Here you’d find a squared off nose and rectangular headlamps. This was the last rear wheel drive Duster, ever.